Jar-Dab Plumbing, Inc. is a licensed and insured plumber that offers plumbing repairs, water heater installation, drain cleaning and more. We have dedicated and experienced experts who are dedicated to solving your plumbing problems. Your plumbing problems are just a phone call away from being resolved. Let us put your mind at ease through our experience and knowledge. Our professional plumbers are available in The Colony, Frisco, Little Elm, Carrollton, Coppell, Denton, North Dallas and the surrounding areas. Drain cleaning can be tough to overcome and overwhelming to someone that does not have experience with them. When a specific issue goes beyond control, call Jar-Dab Plumbing, Inc.. Our plumbers have what it takes to attend to your drainage problems. It may be time to contact a plumbing contractor when your problems get out of control. Don’t let your drainage problems control your plumbing. Call in our expert plumbers and have them done right. We are able to provide you with the services you need. The two main types of water heaters are gas and electric. We have the knowledge of providing our customers with professional installations. If you have an old water heater just waiting to burst or in need of one for your new construction, call Jar-Dab Plumbing, Inc..
Our most highly regarded plumbing contractors will be able to lay down the scope of the project on the table for you and put everything you agreed upon at the inception of your contract in writing and then issue guarantees as to the quality of their work when it comes to a water heater. 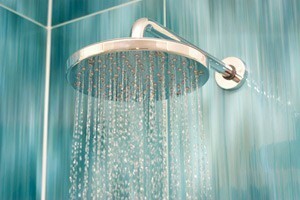 There are a lot of advantages to having plumbing repairs done by our plumbers. Your plumbing problems will instantly go away as we are fully equipped to handle all types of problems from leaks to drainage issues. We can save you from having to replace your plumbing components. Safety and commitment go into all of our repairs. If you are looking to minimize your plumbing problems, call our techs and have them taken care of conveniently and safely. You’ll have plumbing without any major issues as you will be able to flush freely and shower without frustration. A plumbing installation may be what you need for your new construction. We offer professional plumbing services no matter if you are doing remodeling, add-ons, fit-outs or other types of construction where plumbing is needed. Safe installations and related services are what we apply to every job we do. We take all installations and jobs seriously, no matter how big they are. Call and have your plumbing components installed correctly. You’ll save money and not have to waste your time waiting for our plumbers to show up. There is something to be said about a leak. A leak can be more than frustrating. Hearing that pitter patter of water dripping all night is enough to wake even the most sound sleeper. We will get to your leak quickly so you can get a better night’s sleep. Leaks are not just something that will keep you awake all night. They are something that can fester under concrete slabs and inside of walls. Water damage is prevalent when it comes to leaks and causes major internal damages that will end up costing you in the end. 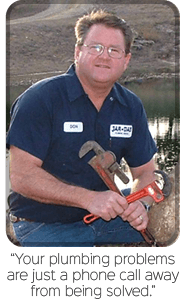 Why Hire Jar-Dab Plumbing, Inc.? We have over 26 years of experience. Our plumbers are reliable and certified. Jar-Dab Plumbing, Inc. is also licensed and insured for your safety. We offer one-time solutions for your plumbing needs because we care about yours. Whenever you have a problem; remember that we are LP Gas certified and complete a full range of plumber services. Call today and speak with one of our plumbers instead of a receptionist. We can help through all of your repairs and installations. If you are looking for a plumber in The Colony and North Texas, then please call 972-625-0083 or complete our online request form.